Along with Christ-centered academics, the goal of a classical Christian education is to shape the hearts, affections and spiritual lives of our students in a way that is pleasing to the Lord. Stephanie Schwab, one of our two Kindergarten teachers here at Covenant, has graciously answered some questions to help give insight into what guiding the hearts of her students looks like in Kindergarten. How long have you been teaching kindergarten at Covenant? I have taught in the kindergarten classroom here at Covenant for seven years. Apart from academics, how do you cultivate and guide the hearts and spiritual lives of your students? It is a huge privilege to be able to teach right from the source, to guide children to understand and memorize portions of Scripture. Along with learning straight from God’s Word, every day brings an opportunity to learn how to apply what we learn from Him as the children interact with classmates, teachers, and work toward God-honoring attitudes and behaviors. My goal is to partner with the parents to help the students as they begin their journey of loving whatever our Heavenly Father calls Beautiful. Would you mind sharing with us a story of your kindergarteners taking steps towards growing in wisdom? At the beginning of the year, a kindergarten girl and boy who rode the same bus found themselves quarreling over who would enter the bus first. As you can imagine, each wanted to be first and devised a game wherein whoever sighted the bus first could choose who enters. After learning the biblical principle of preferring others (in class and at grammar school assemblies), as this truth sank in, the game changed to become, “If I see the bus first, I can choose that YOU go first!” This worked for a while until the young gentleman learned to defer to the young lady. Now they are working on how to graciously accept the gift of going first! Describe the atmosphere of your classroom. Typically, the kindergarten atmosphere is that of excitement, mixed with lots of energy and joy! In the course of the day, as students learn to relate to one another, strong feelings can flare! One important goal of the year is to give the students tools that they will find helpful in their interpersonal relationships now and throughout their lives to bring peace and resolution into areas of conflict. One example is helping students to walk through restoration with each other, offering meaningful repentance and forgiveness to one another. They learn that they can call on God for help in these areas. 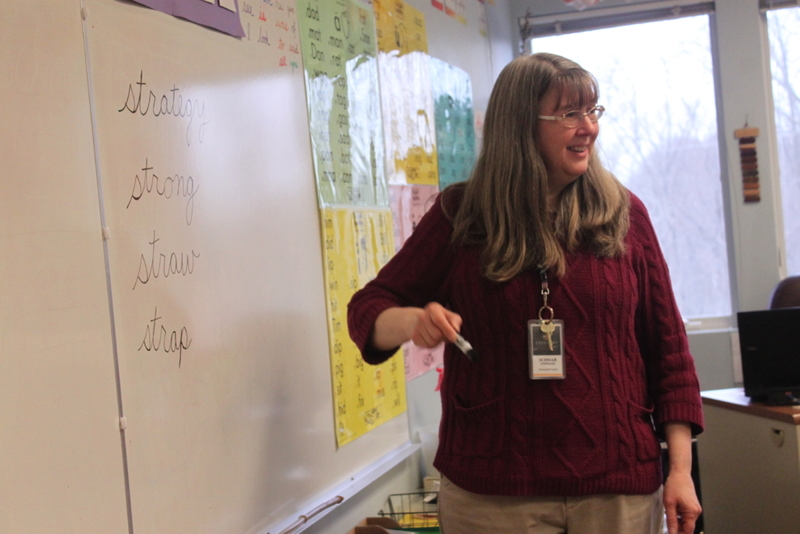 During the year the students learn to apply order and personal responsibility to their daily routines, while still maintaining excitement, energy, and joy in their learning. How have you seen some of the lessons you teach in kindergarten be displayed further on? I love to watch the children as they participate in Show and Tell and imagine how they will use what they learn when it comes time to present projects later in school and ultimately as they give their senior theses. When I hear these little ones graciously fielding questions about the objects near and dear to their hearts, or for that matter, learning to formulate appropriate questions from the ‘audience’, I see these as first steps toward upper school rhetoric. Even today, a kindergarten child who was sharing was asked about his special treasure and he responded, “That’s a tough question,” then turned to the over-eager group and graciously reminded, “I need time to think about this, put your hands down!” Wouldn’t it be great for more of us to learn that we need to take the time to answer well and to listen to each other! Thank you, Mrs. Schwab, for your faithfulness in guiding the minds, hearts, and lives of our kindergartners! 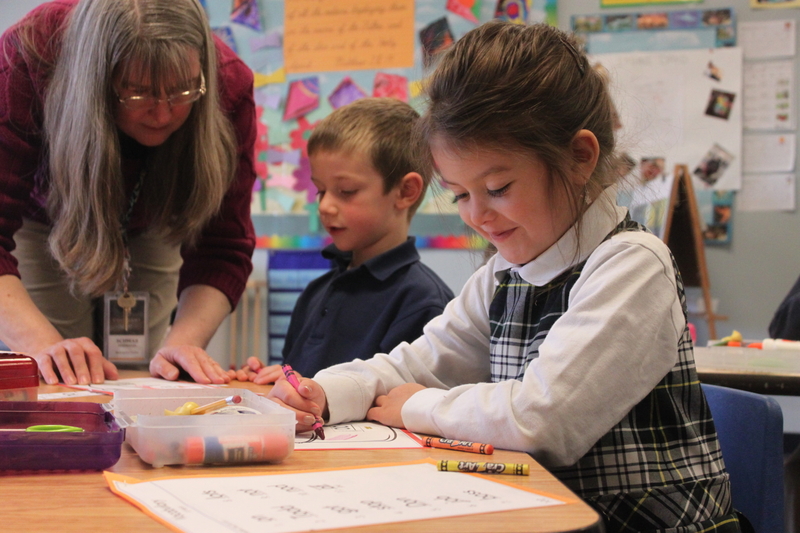 For any family interested in joining us on the journey of teaching students to walk towards wisdom, beginning in kindergarten and every step of the way, feel free to visit our kindergarten page: https://discovercovenant.com/kindergarten/ or contact our Director of Admissions, Katie Broeg at Katie.Broeg@DiscoverCovenant.com.